The round of 16 was hard on CONCACAF’s hitherto buoyant jaunt in Brazil. Costa Rica played a man down for the best part of an hour, just about withstood a shelling, and nicked a game Greece ought to have won (once the numerical advantage was established) on penalties. USMNT somehow managed to finish a 90-minute beat-down from Belgium feeling disappointed at not being the team to break the 0-0, and then feeling REALLY disappointed at having waited for the Belgians to score twice in extra time before taking the gloves off. Mexico couldn’t even bring the Netherlands to penalties or extra time, retreating ever further back until the game plan dissolved into hoping the Dutch wouldn’t shoot straight. The Dutch shot straight, eventually. Two out of CONCACAF’s record-breaking three in the knockout rounds clattered into the first hurdle and are limping out of the tournament. 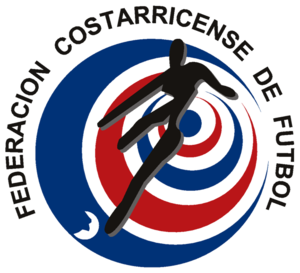 Costa Rica carries the confederation’s flag forward to the quarterfinals. This doesn’t really feel like the World Cup of CONCACAF any more, but we’ll check in on that assessment when there aren’t any teams from the region left standing. For now, here’s a look back at the region’s close-but-only-Costa-Rica-gets-a-cigar second round. We meant it figuratively, Keylor, but you do whatever you think is right. 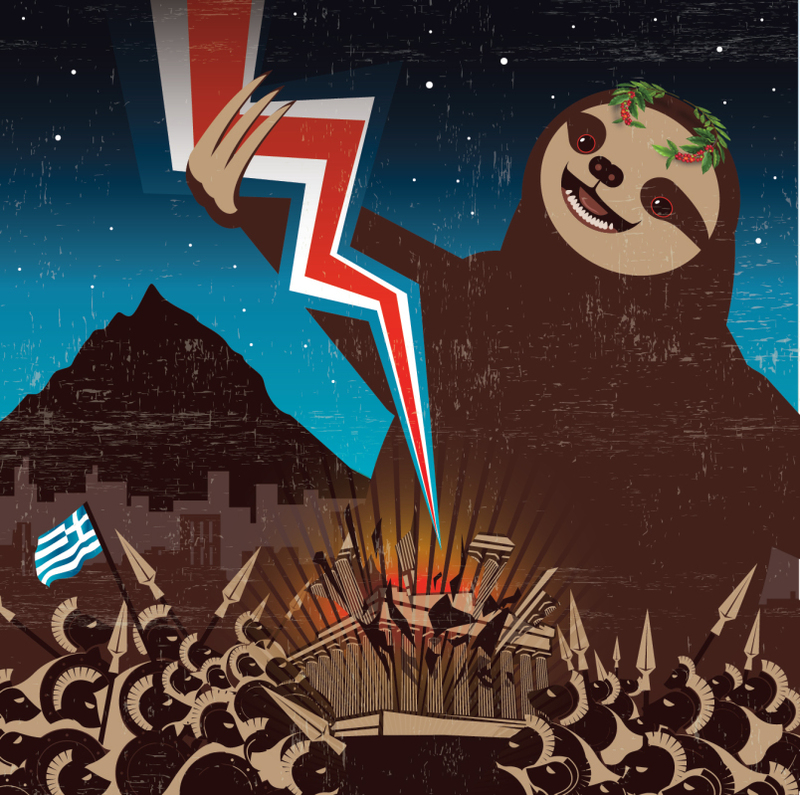 Los Ticos made it very hard for themselves against Greece. The first half was a see-saw, as two counter-attacking sides traded punches. Then, shortly after half-time, Bryan Ruiz languidly rolled a shot into the far corner of goal, eliciting a Greek interpretive dance on the subject of “welp”. You don’t often see a goal which is so much about placement that the speed of the shot is almost irrelevant, but the – scuffed? – shot dawdled along a trajectory which stranded the ‘keeper. It wasn’t a beautiful goal, but this wasn’t a beautiful game: two teams justly confident in their defensive abilities and determined not to get caught out by the other – because whichever team scored first was going to shut it all down and cling to the lead. Unfortunately for Costa Rica, the plan was complicated by Oscar Duarte’s red card in the 66th minute. Jorge Luis Pinto’s thus far immaculate defensive plan was tested sorely, not least because Roy Miller’s injury sent him further down the depth chart than he’d have preferred – Johnny Acosta came off the bench to keep the back line in tact. The Greeks huffed and puffed for the remainder of the game, though were themselves let down by the simple fact they’re not really a team built to attack with confidence. Still, able to take the ball pretty much whenever they wanted it, and despite their own occasionally inept forward play and Keylor Navas’s inspired shift in goal, they found an equalizer at the death – in the 91st minute. Even then, it was a chance created by a Navas save: he got a hand to almost everything thrown at him. But he’s not superhuman, he parried a shot and the rebound was slammed home by Sokratis Papastathopoulos. It was his first international goal, and gave his team another 30 minutes to run at a visibly exhausted Costa Rica. But Los Ticos got through it, with a bit of luck – foremost of which was playing down a man against the least capable attacking team still in the tournament. And in the end, Navas saved a penalty and his teammates converted every one of theirs. It was a huge achievement for Costa Rican football, and for CONCACAF. This World Cup isn’t just Costa Rica’s first time in a quarterfinal, it’s the first time since 1938 – when Cuba made it through – that the region has sent a representative to the last eight not named Mexico or USA. Part of demonstrating improvement as a confederation is showing depth. The biggest knock on CONCACAF historically has been the impression that it is a life support system for Mexican and, latterly, American desire to regularly make the World Cup. Getting other teams from the region into the latter stages makes a case for greater respect for the confederation as a whole, and its consistently better teams in particular. Now the world will be watching Costa Rica, in part to see whether it can give the Netherlands as good a game as they got from Mexico. No one expects Los Ticos to beat the Dutch, especially lacking a first-choice defender (Duarte) and the first-choice to replace him (Miller). But no one has expected Costa Rica to do what it has done to date. The Dutch will be the best opponent Los Ticos have met in the tournament so far – not just good on paper, but good on the field. Surely, this is the end? As with every game this team has played in Brazil, one thinks so but hopes not. Part of the reason the Costa Rica-Greece match was so hard to watch for CONCACAF fans (Do such people exist? Or is it just me?) was we had seen this script played out before: in the earlier match of the day. 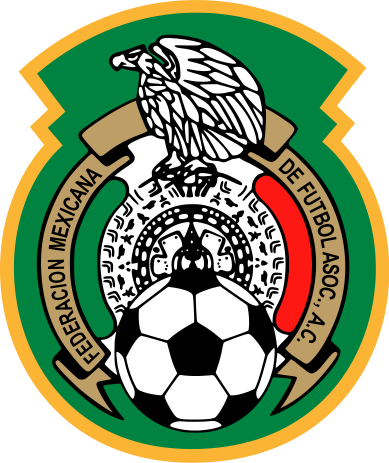 Mexico and the Netherlands played a fairly even goalless first half, then Giovani Dos Santos scored almost as soon as the game restarted, in the 48th minute. El Tri had a choice: continue to go toe-to-toe with the Dutch, or retreat and hope to outlast them. Herrera chose the latter. Perhaps he was just reflecting the way his players were coping with the predictable urgency with which the Netherlands set about looking to equalize. Mexico started to get pinned back in its half, Dos Santos was withdrawn for Aquino and the team seemed to be further pinned back. But it was working…ish: by the end of the game, the Dutch would be credited with most of the possession (56%), almost three times as many crosses (30 to 11) as El Tri, and five times as many corners (10 to two) – but just four shots on target (Mexico had five). The Netherlands were held at bay, until the end. Another corner, a not-quite-good-enough clearance, and Wesley Sneijder finally broke Memo Ochoa’s extraordinary resistance (he had another great game) with a hard shot through defensive traffic. 1-1 in the 88th minute. 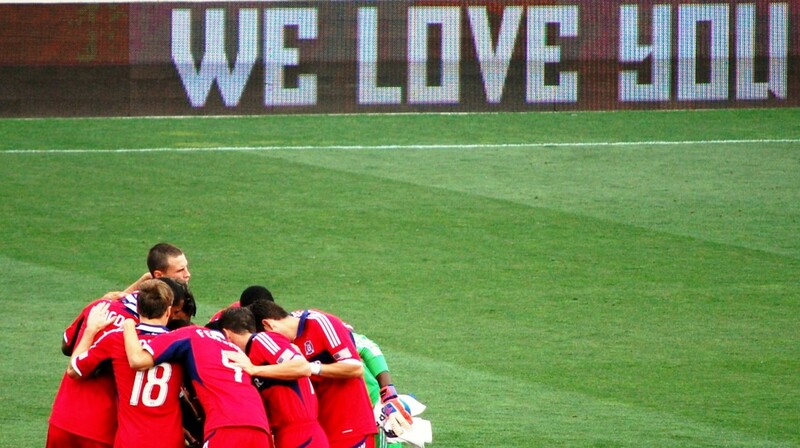 There followed six minutes of stoppage time, and the heartbreaker: a penalty to the Dutch in the 94th minute. Arjen Robben had been running into Mexico’s penalty area and falling over all day. On this occasion, he finally sold the foul: Rafa Marquez – because, who else? – lunged hastily as Robben tried to dribble himself out of a cul-de-sac, caught the Dutchman’s toe, and contact was sufficient to convince the ref. Klaas-Jan Huntelaar did the rest. Hindsight being what it is, this gets recorded as a Mexican collapse. Had that corner been cleared in the 88th minute, or at least been sent clear of Sneijder, perhaps we’d instead be celebrating the sort of canny defensive triumph Costa Rica pulled off against Italy. But we are not. El Tri heads home with yet another second round appearance to add to the list. It has now made the round of 16 for six consecutive tournaments, and has been beyond the group stage in every World Cup since the round of 16 was invented (the 1986 edition, in Mexico) – except the 1990 tournament, from which Mexico was banned. Expectations sunk so low during qualifying that this undefeated run through the group stage and an at-the-last defeat to an in-form Netherlands should be counted as an amazing turnaround. Remember, this was the team only in the World Cup because Panama couldn’t close out a game against USMNT. The two late goals conceded to the Dutch echoed the late goals that sunk Los Canaleros and put El Tri back on track. The game has a cruel sense of symmetry. And Mexico will rue the missed opportunity: but for those last eight minutes when it all went wrong, El Tri would be looking at a quarterfinal against familiar opposition – Costa Rica. A first semifinal appearance would be beckoning. It was not to be. Since taking over the team in October 2013, Miguel Herrera picked Mexico’s national team off the floor and carried it back to the level to which it had become accustomed – but no further. USMNT read the same script the other CONCACAF teams were looking at: play a UEFA team in the second round to a tense finish. But the Yanks found an interesting twist: end on a high and still go home – twice. The match was basically a drubbing. But for Tim Howard, the game might have had FIFA officials scrambling to see whether they had included a mercy rule in the tournament by-laws. Howard stood strong. By the end, he’d racked up more saves than anyone can remember a ‘keeper managing in the World Cup before, and what he couldn’t get to had been mostly cleaned up by a bent-but-not-broken defense. At least, that was the way things were for 90 minutes, and if Chris Wondolowski had ended the whole thing at the death, we never would have seen the defense bent and broken. But Romelu Lukaku came on for extra time and turned the lights out on the Yanks. 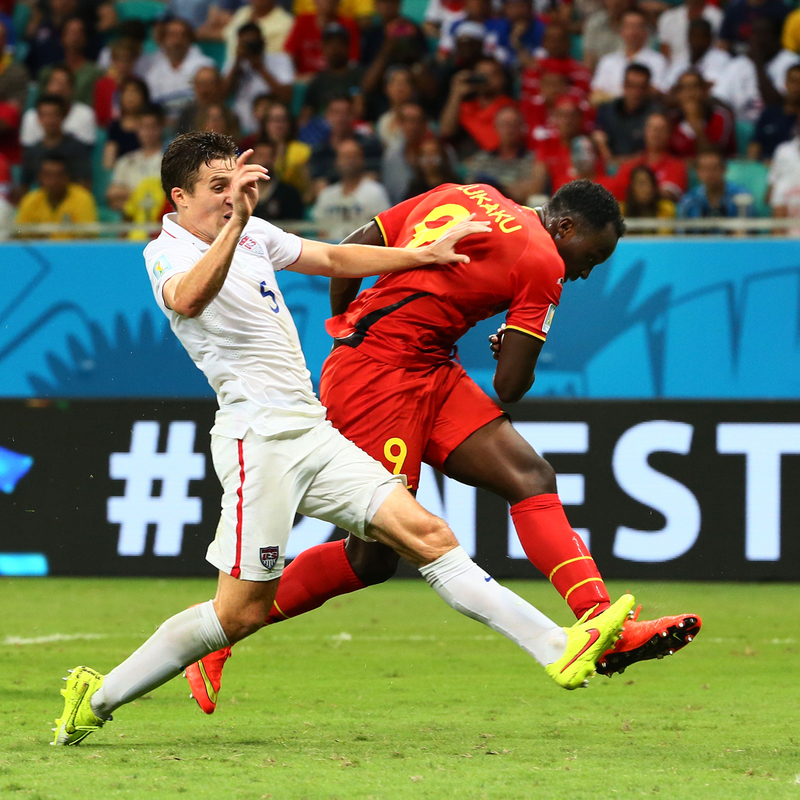 He terrorized USMNT’s back line for 15 minutes – and Belgium finally had some goals. Then the Stars and Stripes flipped the script again. Jurgen Klinsmann threw on Julian Green for the last 15, because USMNT was headed home and without playing time all the kid has by way of memories of Brazil is a smart collection of official FIFA sideline bibs (they get to keep those, right?). And Green had no sooner touched the ball for the first time as he had it in the net. And USMNT did a pretty good reenactment of what Belgium had done to them for 105 minutes, which at least shows this team pays attention and learns quickly. And then it was over. 2-1 to the Belgians. Klinsi’s lieblings sent home to think again. Klinsmann was brought in to refresh the squad and overhaul the system that feeds it. He’s three years in to a project currently scheduled to run until 2018. He has brought in new faces, and genially weathered the collapse in reputation of American players abroad which sent much of the core of his World Cup squad running for the cover of MLS. Their presence is to the benefit of the domestic league, but, in the longer run, the true value of USMNT’s 2014 World Cup may turn out to be a revaluation of US talent, and the return of an export market for MLS players. When USMNT heads to Russia 2018, Klinsmann will want his team to be well versed in the conditions of the country, and its continent – which means getting more American players back to the top European teams and the UEFA Champions League. Whether a team stacked with the sort of talent the Belgians had at their disposal in this game will tolerate Klinsi’s reportedly limited tactical nous is another question entirely. But if he gets the national team program to the stage where the players are of greater reputation than the coach, he will have done his adopted country a great service.